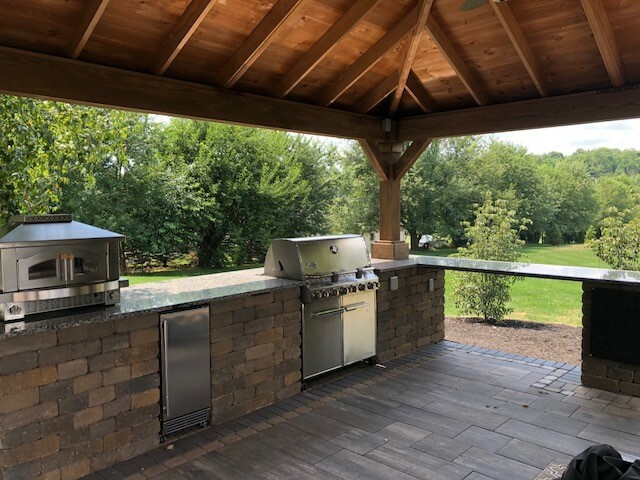 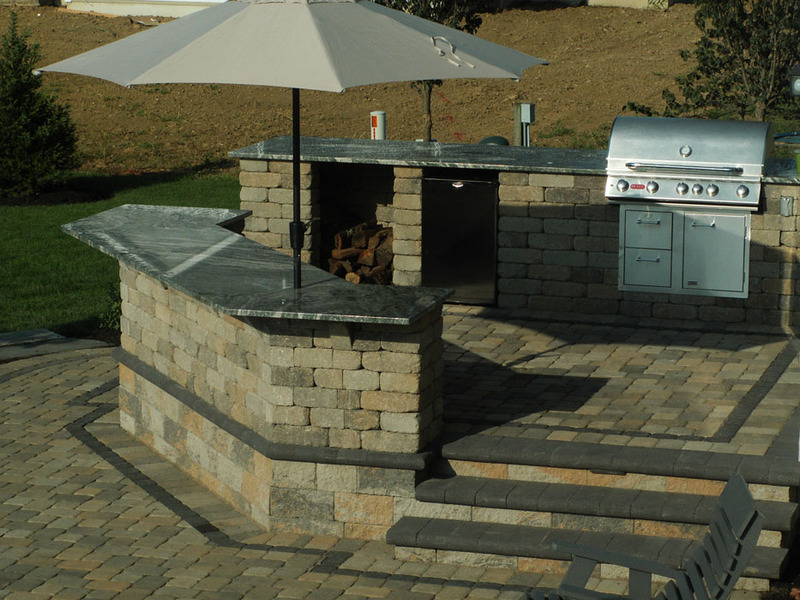 Outdoor kitchens get the whole family out of the house to enjoy the outdoors. 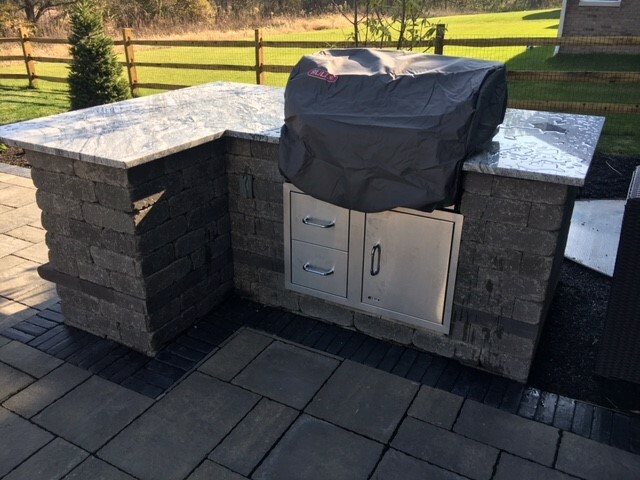 We can design & build kitchens that include built in grills, refrigerators, smoker unit space & plenty of counter top working space. 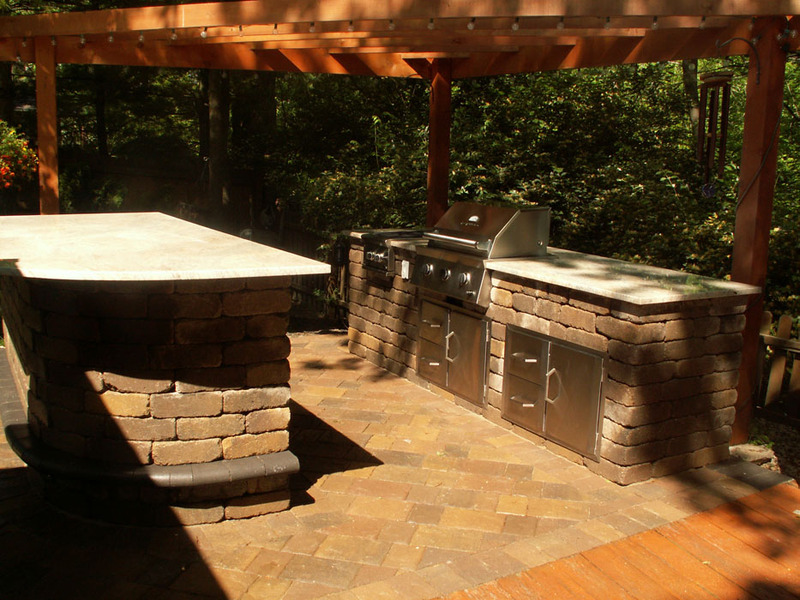 We often recommend granite counter tops for the easiest clean up from cooking utensils, pollen & dust.